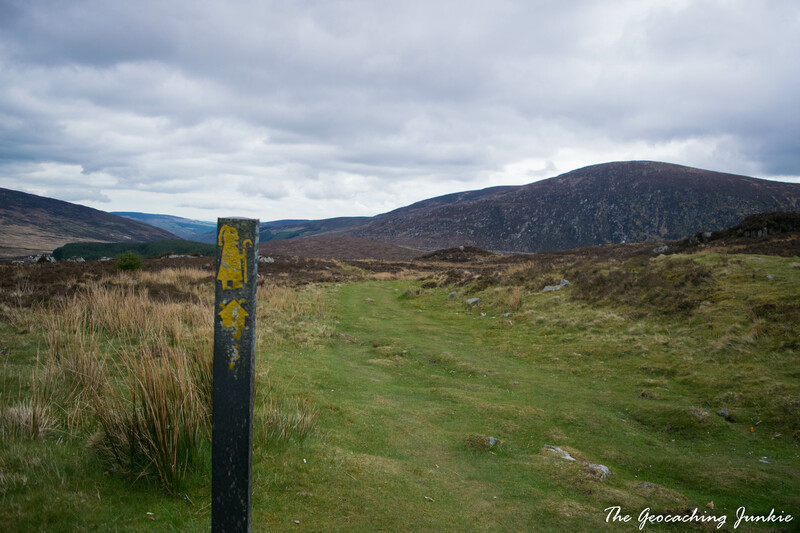 Ever since I started this one-hike-a-month malarkey in January, I have been looking forward to doing some walking in the Wicklow Mountains. 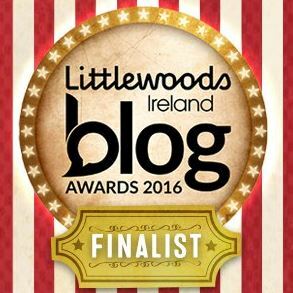 Wicklow, also known as the Garden of Ireland, is my home county and I’m fiercely proud of hailing from there. We spent Easter weekend with the Mother in Bray, so it was the perfect opportunity to hike in the garden county. 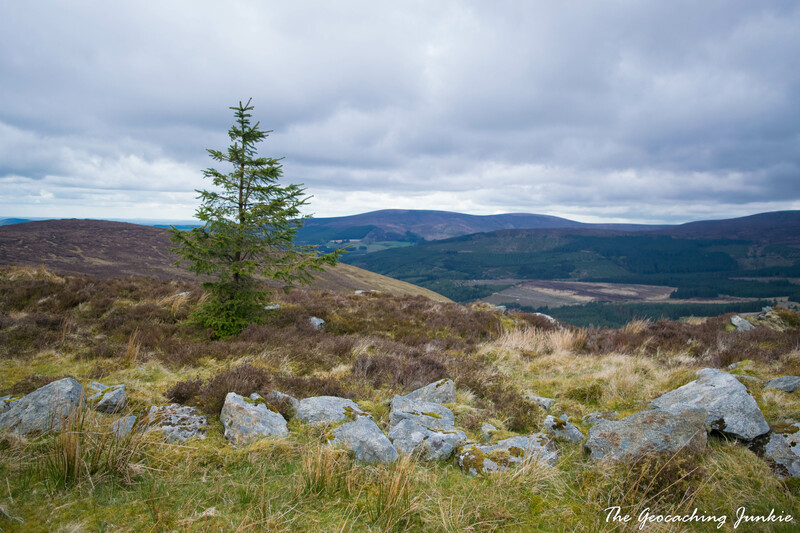 The Wicklow Mountain National Park covers 54,000 acres and offers a plethora of walks for all fitness levels. 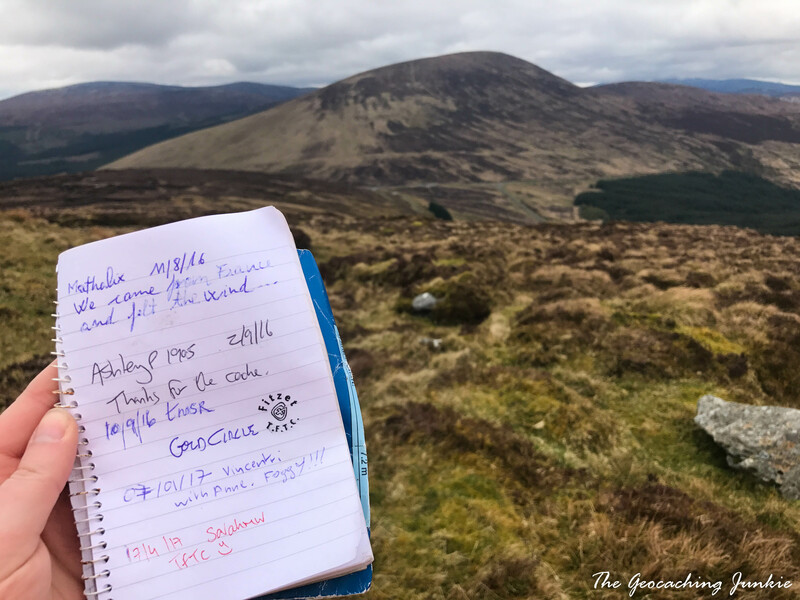 There is a series of caches dotted around Wicklow somewhat misleadingly called A Walk in the Garden (they are not exactly an easy walk in the park!). 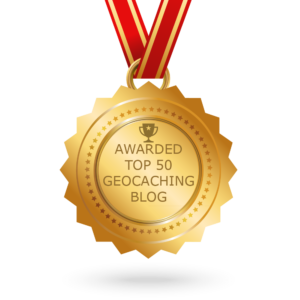 The series was started by Kili or Bust, but more recent caches have been added by others. 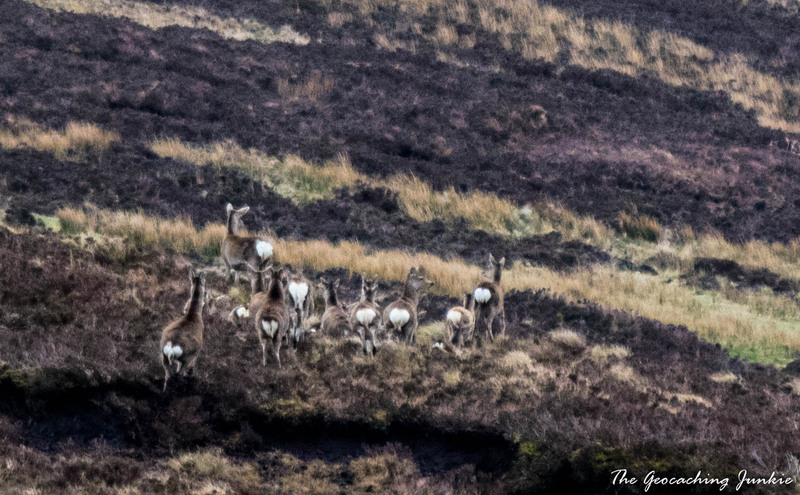 The majority of the hides in the series are located in the Wicklow Mountains National Park, though some are dotted elsewhere in the county. 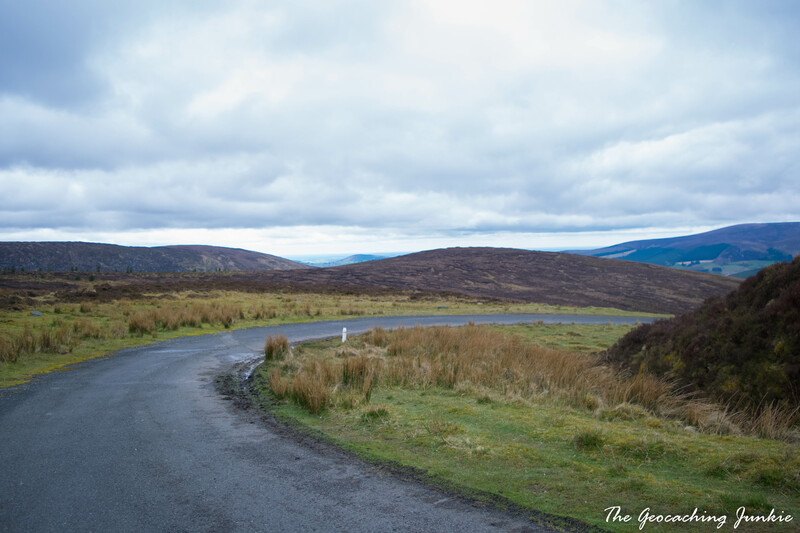 There’s an EarthCache called Wicklow Gap (GC1T5EA), located at a viewing point, at which there are two car parks (N 53° 02.473 W 006° 23.782). 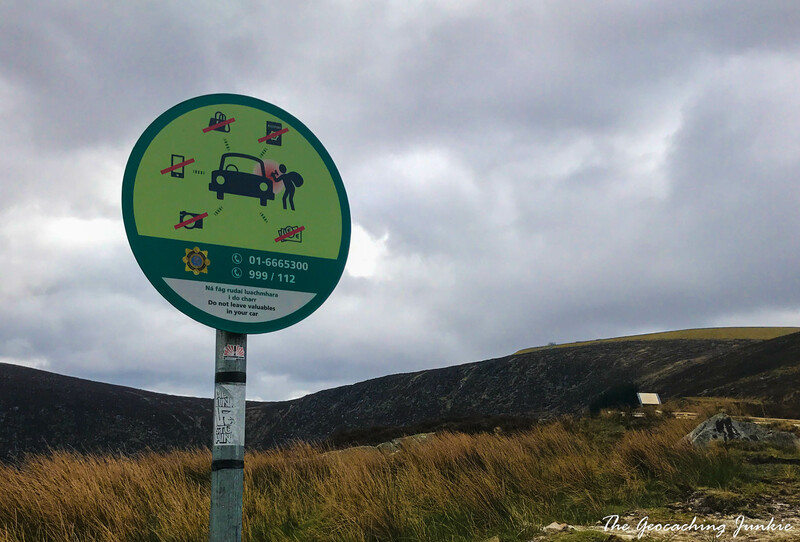 As always when parking in the Wicklow Mountains, it’s important to be mindful of car thieves: leave no bags in the car and leave all areas inside visible if you can (glove compartment and boot/trunk). At the weekend, this is a popular spot for people on a drive to stop for a few minutes, so there is usually plenty of traffic in and out; it may be quieter midweek though. 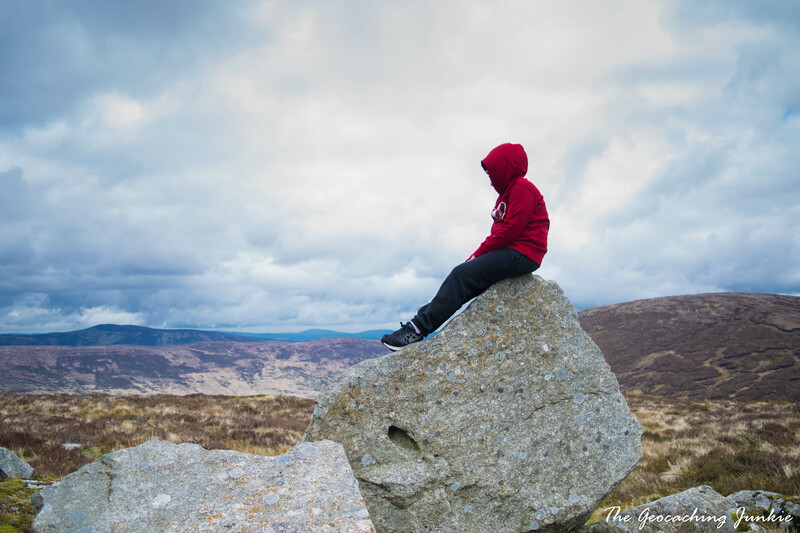 Incidentally, the Wicklow Gap EC was my 500th find, on a day when it was a lot more gusty and felt like a wind tunnel just standing in the car park! 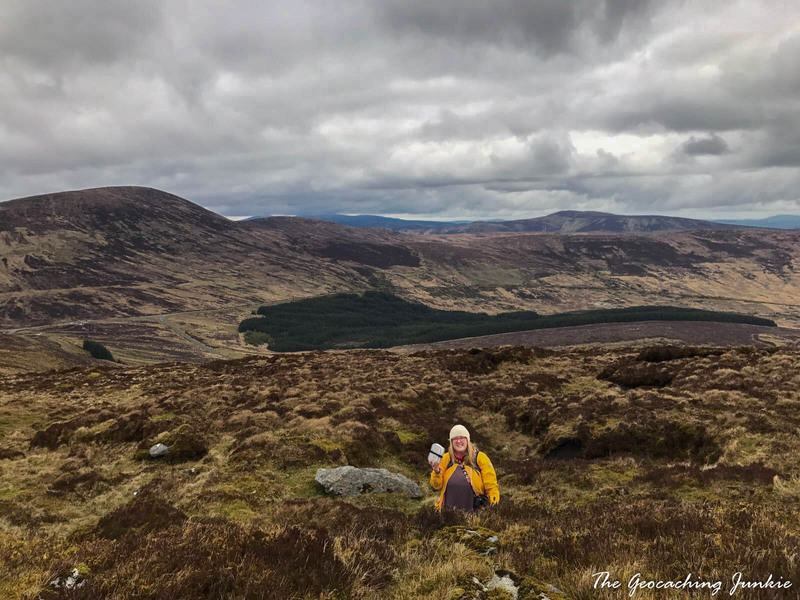 On this occasion, I headed to the Wicklow Gap with the muggle, my sister and my 11-year-old nephew for an Easter Monday hike up Turlough Hill – what better way to work off some of that chocolate that the Easter bunny had left! 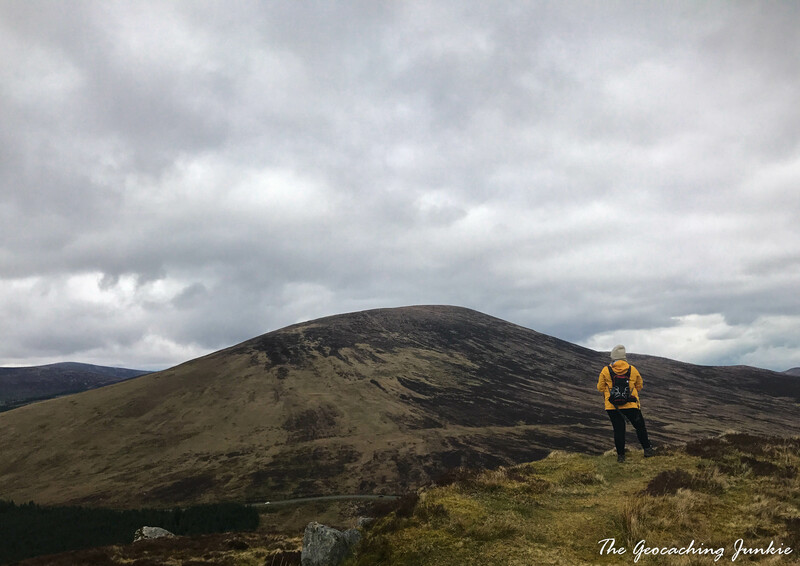 I initially wanted to climb Tonelagee (a T4 cache), but given the larger party than originally planned, we settled on the easier going, and shorter, walk up Turlough Hill. 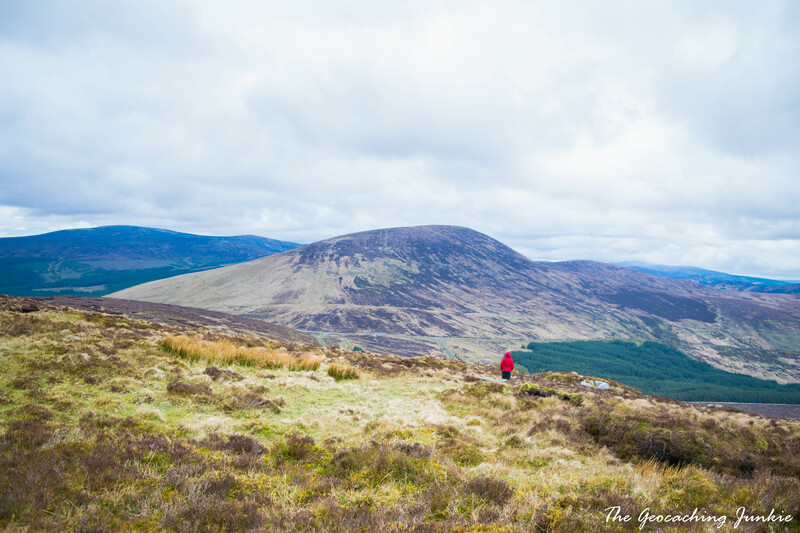 The mountain is 681 metres high and was originally called Tomaneena (Tuaim an Aonaigh), meaning ‘mound of the assembly’ in Irish. 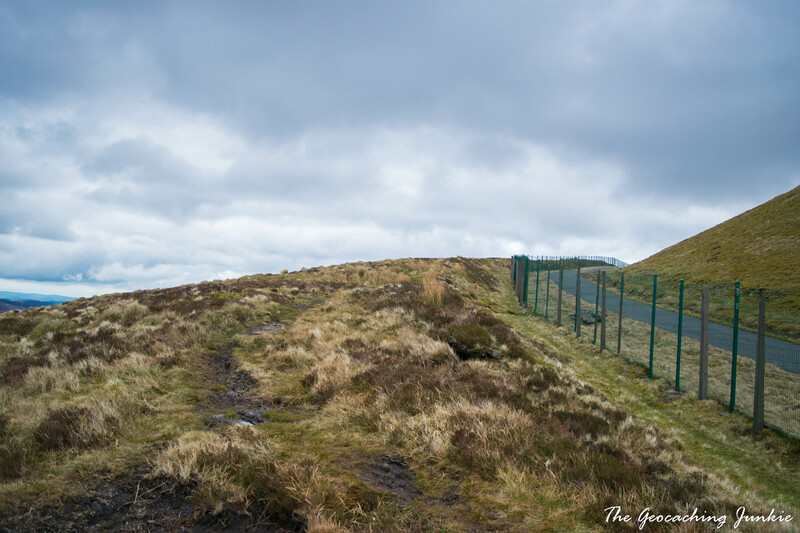 The path to the summit is wide and paved – this is to facilitate vehicular access for the ESB (Electricity Supply Board). 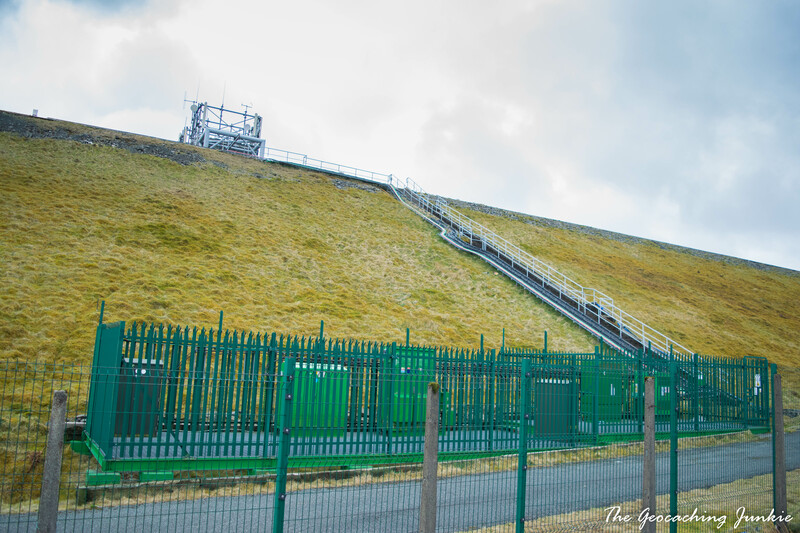 It was the ESB who renamed the mountain ‘Turlough Hill’ when they began construction on a pumped-storage hydroelectricity plant at the site in the late 1960s. 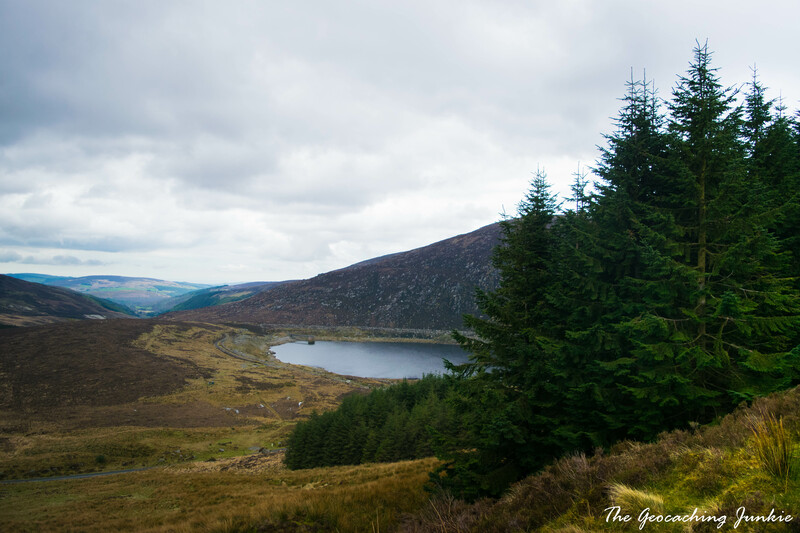 The naturally-occurring corrie lake, Lough Nahanagan, sits at the foot of Turlough Hill and is the lower reservoir for the power station. There are great views of the lower lake as you start the walk up the winding path to the summit. 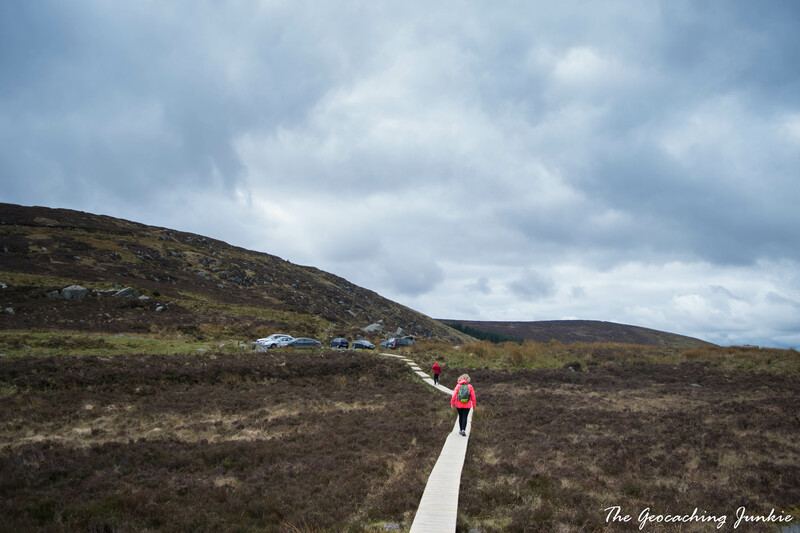 The walk is quite easy-going for the most part as it’s nicely paved and winds back and forth enough to avoid any steep parts. 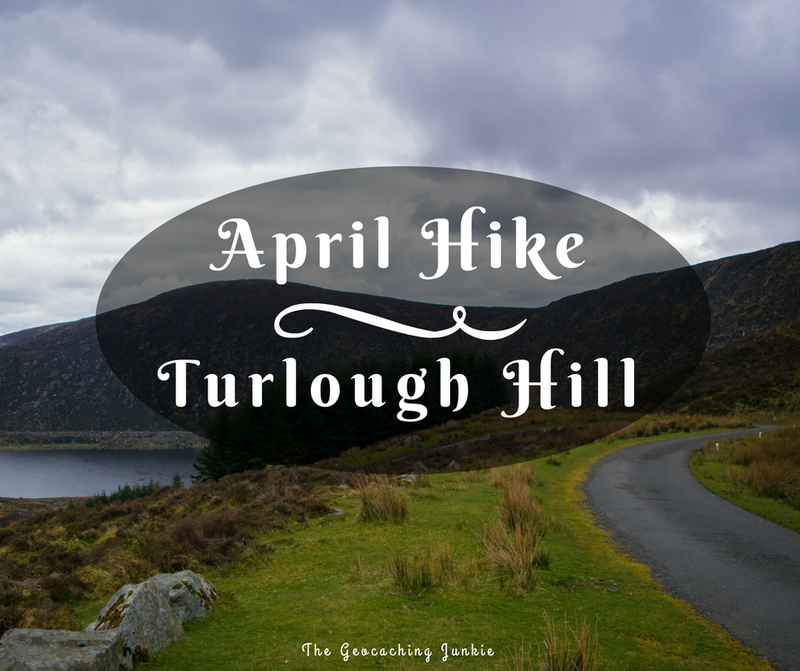 Turlough Hill is underlain by granite, much like most of the Wicklow Mountains National Park, and is covered in blanket bog, with great mounds of it sitting above the grass at various points. 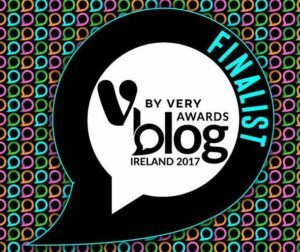 Ireland is home to 8% of the world’s blanket bogs, though this is only 21% of the bog that covered the island once upon a time. 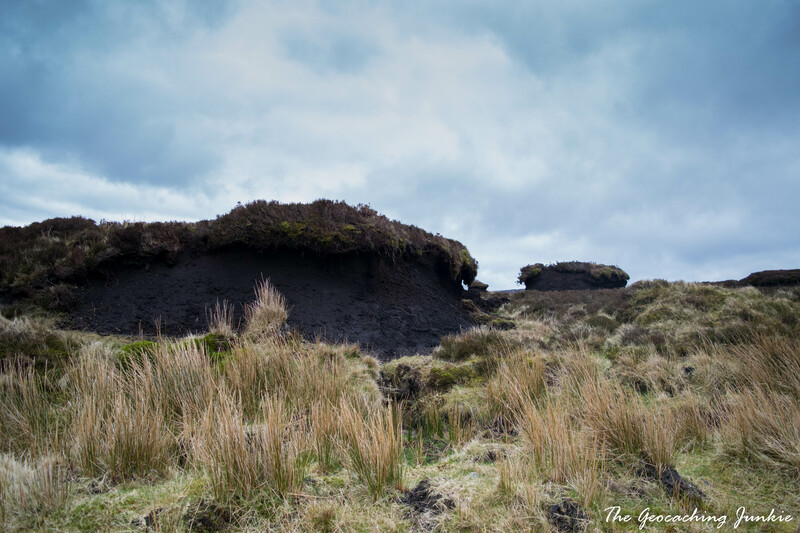 The bogs have been depleted by extensive turf-cutting, grazing, erosion and afforestation, but the Irish Peatland Conservation Council is dedicated to highlighting the need for their conservation. We may not have made it up Tonelagee on this occasion but the incredible views of the 817 metre high summit were enough to tell me I might need to prepare a little more for the hike up there! I am definitely determined to do the climb this year but it might be quite a few months down the road. 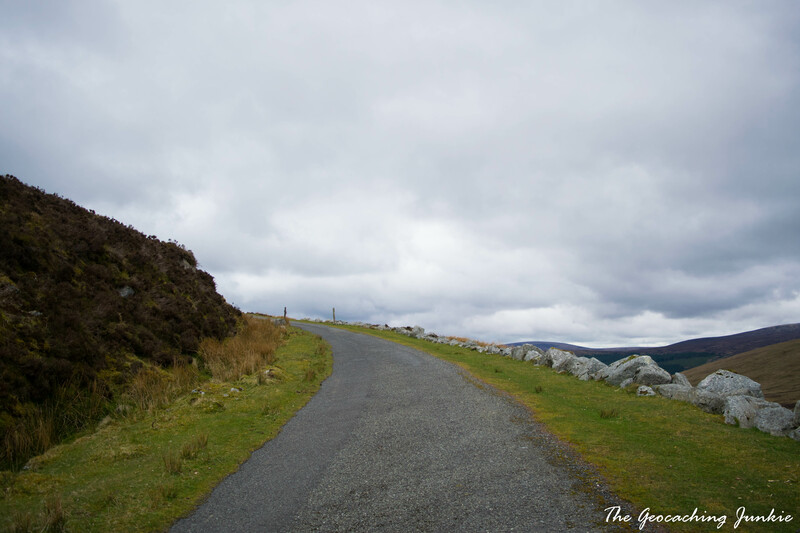 I also have numerous others on my must-climb list – so many hills, so little time! 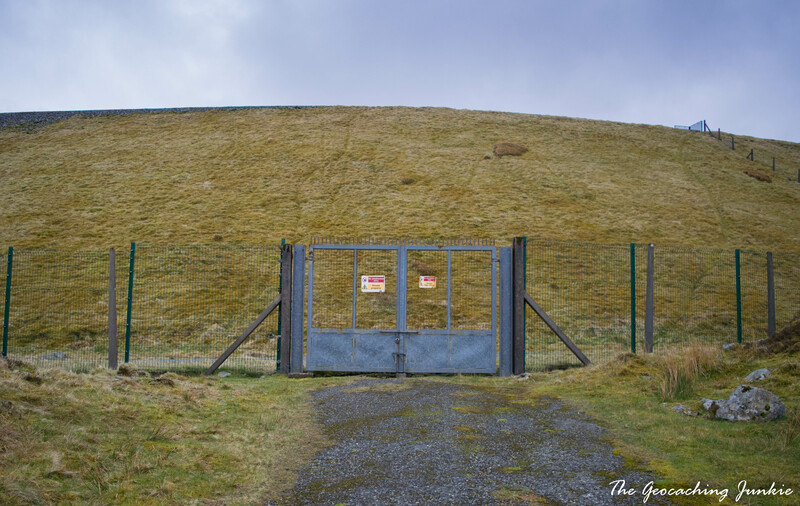 When you reach the ‘keep out’ gates, there is a little ‘off piste’ walking to get to GZ, which is at the opposite side of the reservoir from where the paved path ends. The reservoir itself is not visible from any point of the walk, as it sits high on a mound, which has been made in such a way to blend in almost perfectly with its surroundings. I understand there is quite a view of it from Tonelagee though, and other surrounding summits. 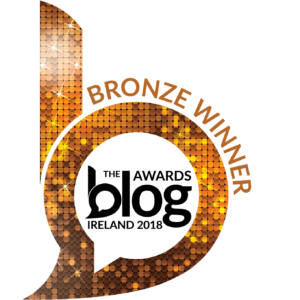 Our target was the traditional cache, 17 A Walk in the Garden-Turlough Hill (GCNFP8). We took the longer route around the reservoir to GZ, so we could enjoy the view all the way around, and then the shorter route back! My nephew made a quick find at GZ; the cache was nicely tucked away and in perfect condition. It may have only been one find for the day but I’m discovering lately that the best days are those with fewer finds – it’s very much quality over quantity. GZ was the perfect place to stop and eat our packed lunch, with some conveniently flat rocks to sit on nearby. We even saw a small herd of deer in the distance while we ate. 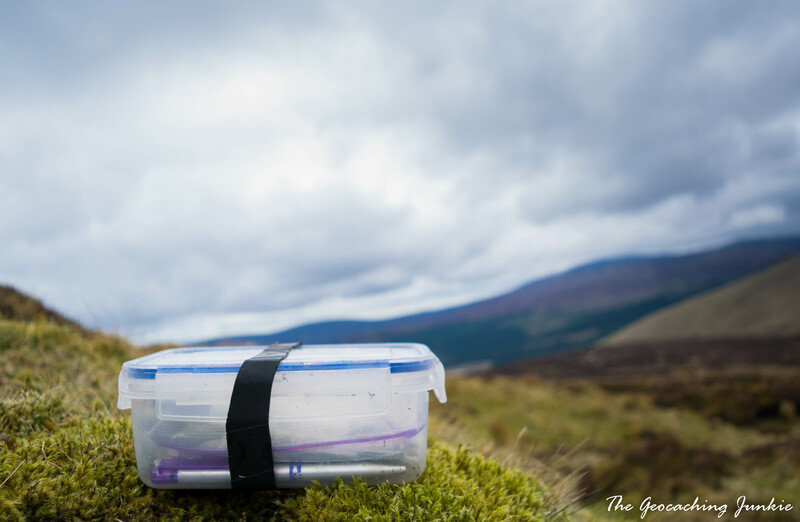 All in all, a great day out with no rain, great company and views, and a nice geocache: what more could you ask for? Now I’m off to decide where the next uphill walk will be… decisions, decisions!